ARE YOU PREPARED TO BE CHALLENGED? COMFORT ZONES ARE NOT COMFORTABLE. PERSONAL CHANGE STARTS WITH A SINGLE DECISION. BUILDING THE BRAIN-BODY CONNECTION. YOUR MOST POWERFUL WEAPON IS YOUR MIND. FOR PEOPLE WHO THINK. IT’S TIME. BOOK YOUR INTERVIEW. READY FOR AN UPGRADE? IT’S TIME FOR YOU TO CHALLENGE YOURSELF. WANT TO LEARN HOW TO BREAK NEGATIVITY? TIME TO LEVEL UP? STRENGTHEN YOUR BODY, STRENGTHEN YOUR MIND. HAD ENOUGH OF BEING NERFED? ARE YOU READY TO BE OP? KNOWLEDGE IS POWER. ALLOW YOUR FEAR TO PASS OVER YOU AND THROUGH YOU. BOOK YOUR INTERVIEW. COMFORT ZONE = FROZEN IN CARBONITE. The best combat system I have found with the most effective approach towards self defence. I would highly encourage anybody looking to gain hands on experience in this discipline to consider training with CMAHC. Extremely knowledgeable teachers with priceless experience and training. I love the care taken by Sherrilyn Walters when i started my lessons. Sherrilyn was always attentive to every detail and made such a difference to my learning a new skill. I highly recommend them. As a person with medical and physical limitations I’ve found my training to be adaptable and achievable as well as beneficial to my conditions. I love that the teachers are genuinely interested in helping their students improve themselves at their own pace. The teachers are also very honest in their feedback which helps me to develop my capabilities. Studying here is a life-altering experience. It affects and improves nearly every other aspect in life because of what you learn about yourself and how to control your mind and body. And not just in physical ability (though that improves to near paranormal levels), but also in dealing with life’s stresses, having confidence in yourself, and learning to overcome each mental or emotional challenge you are faced with to achieve peace. Always a great experience participating in the classes with a great group of people and very experienced and down to earth trainers. I’ve not had a training experience like this before. Traditional applied in a manner which makes sense. The team are highly skilled, highly capable and extremely knowledgeable in every area relating to martial arts. I highly recommend anyone looking for a truly life changing experience to check this school out. Fantastic system and instructors. Through this school (in which I will be returning once my finances improve) I have picked up valuable conflict resolution techniques which I have used on a few occasions in my daily life. Through this school I have also developed the mindset to not give up when things get tough. I highly recommend CMAHCA to anyone looking for a Martial Arts system where the teachings have real world applications. Amazing team, amazing classes and energy. Everyone needs to experience this centre. Having trained for many years in other Martial Arts I found the teachers, students and school as a whole a great experience and I highly recommend you join. Enjoy finding your inner self in this school. The most professional and yet the most friendly people I have met. The system is traditional but alive. Absolutely AMAZING people ! Beautiful serene atmosphere, everyone is friendly. Very approachable with questions you may have to help in any way possible with your training. In general a very well organized , fun , happy yet professional school of Traditional Martial Arts. Training with CMAHCA is great! Wonderful instructors who pay great attention to detail and technique while not skimping on the physical challenges involved in Kung-fu. I couldn’t see my self learning this style from anyone else. I’m attending the current Women’s Self Defence Class, now halfway though & finding it has exceeded my expectations. Initially my hope was this would assist in regaining my confidence in driving my car & some self protection skills. Ì can feel myself getting stronger in both mind & body, with some confident self-esteem & awareness..i.e.unexpected favourable extras! I’m a diagnosed major depressive, so I’m very pleasantly surprised these weekly sessions with Sherrilyn are making a positive difference. Thank you Sherrilyn & team mates as well…also enjoy the odd laugh or two @ our initial wobbly attempts. I was travelling through Toowoombo in Nov 2017 and stumbled over Sherrilyn’s self defence course. It was such a refreshing approach, learning not only the techniques, but also sharpening the own mindset. This self defence class is a safe space for us women to learn how to avoid and handle dangerous situations. Sherrilyn’s patient, calm and loving nature adds to the joyful experience. Since I wanted more of it in the short time I had in town, I even followed Sherrilyn to other (mixed) classes in her center. Thanks Sherrilyn for sharing your gifts with us. It does make a difference! Becoming a member of The Chinese Martial Arts and Health Centre is a decision I am very unlikely to ever regret. I joined about 3 years ago now as a year 9 student in high school. Previously I had some very brief experience in mixed martial arts as a 9 year old and a few months before joining CMAHC I tried some Taekwondo. Though as mentioned before I have only been a member of the system for 3 years I can confidently say that this system of martial art is a vary rare and special one. I have been extremely fortunate to have blundered into this system so early on in my interest in martial arts. I have learned that a system like this is ,as mentioned before, extremely rare. It seems that many other traditional systems of martial arts have lost much of there traditional aspects. CMAHC is a hybrid of various Kung fu systems but this has not taken away traditional aspects rather enhanced them. I am by no means a naturally talented martial artist or athlete but this is not a problem in CMAHC as it is not a sports based system and therefore progression through the system is purely down to the student. The school demands focus and a healthy respect for the skills, knowledge and type of training that are offered here. I have come to realise more recently just how serious the system is and how I would be a fool to say I have even begun to scratch the surface. It takes years if not decades to train and utilise the subtle internal power of chi. At first I found the concept very strange and very difficult to understand and for a long time I miss understood what it was. Although I can not wilfully use it I do now understand (to some extent) what it is. I hope that one day I will begin to control it and use it to enhance my performance and ability as it has been used by traditional Kung Fu students for thousands of years. I am greatly excited by the prospect of continuing on in the system and as it happens am about to go through my second grading. Gradings require a great deal of preparation and dedication and continue to get harder as you progress through the system. It roughly takes 2-3 years between each grading even for the most dedicated students as there is so much depth to the system. I am now in my final year of high school yet I find myself training much more then previous years due to a growing appreciation for the training and an increasing thirst to progress my own personal ability. Thank you Si Fu Lester Walters for the amazing classes, each new and in depth. I look forward to the future of my personal progressing under your teaching and being a small part in the progression of the Chinese Martial Arts and Health Centre as a whole. I started attending the Chinese Martial Arts and Health Centre (CMAHC) almost three years ago. I have just turned 50 and I am finding that the training in class and at home is improving my health, fitness and attitude to life. I came to CMAHC with some pre-existing injuries and general pains that life brings and I have discovered better ways to deal with injuries both physical and mental. I am thankful to our trainers/teachers Si Fu Lester and Si Jeh Sherrilyn for their commitment, dedication and skill. It took me two years to find this school. I didn’t want some mixed bag of fighter’s tips, I wasn’t really interested in fighting at all. What I wanted was a lifestyle change, I wanted more self-confidence and the security of my own self-defence ability. The Chinese Martial Arts and Health Centre Australia has delivered all that and more. Through our practice of mindful training I’ve not only gained the self-confidence I was lacking but within one year have drastically increased my physical fitness, strength, awareness and flexibility. Through detailed instruction and explanation of our system I’ve been able to understand more about myself and the world around me. Training with the Chinese Martial Arts and Health Centre Australia has simply made me a better version of myself. I have committed to this school for life and I know my body and soul will thank me for it. The first time I attended class at the Chinese Martial Arts and Health Centre I was completely unaware of how much the school, the instructors and the other students were going to affect me, the way I view myself and the world around me. My sense of self has been altered in a most positive way. Every class I attend, every training session I have with other students and myself I discover something new, whether it be about the Kung Fu/Tai Chi system available at the Chinese Martial Arts and Health Centre, myself or the other students and their journey, something positive always manifests. It has been 2 years since that wonderful day I walked through the doors at CMAHC, feeling small, daunted, and almost bereft of self confidence, 2 years at a school like the CMAHC can do much for a person, Whatever it is you are searching for in life the Chinese Martial Arts and Health Centre is a place you will discover something beautiful about yourself and hopefully, like me, you will discover something you did not know you were even searching for. 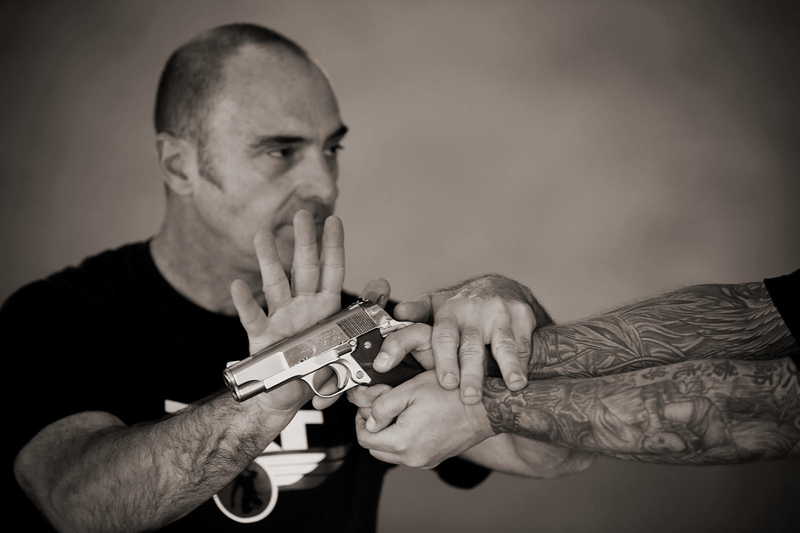 I joined CMAHCA over 5 year’s ago, I guess that I wanted to learn how to defend myself after a close family member was in an on going violent situation. Throughout the training that I have received, it has helped me grow stronger as a person and a better version of myself. CMAHCA is a life changing place to train at. I’ve been training here for just under a year and I’m so glad I made the decision to try it out. I look forward to every class now as they are slowly helping to improve my technique as well as my physical and mental health (one of the reasons I first joined), but at a pace that works for me. In other words it is challenging in the best possible way! The instructors are so knowledgeable and passionate about everything they do, which is evident every time they teach. They clearly take what they do seriously, and yet still manage to create a relaxed and enjoyable learning environment. I couldn’t recommend them enough!